Hmm…where to start. First off, let me just say that I have put off writing this post for a couple of years. It’s not that I’ve been afraid to write it, really, but it just seems so….common. Stereo-typical. Trendy. A recent experience has convinced me that the time has come, though. You see, I saw the effects of some of these ‘herbal smoke blends’ that are being to sold to anyone who cares to buy them on a group of teenagers, and it has me so mad that I’m willing to overlook being labeled ‘trendy’. Let me just say for the record…if you are smoking these ‘herbal incense’ in some misguided attempt to duplicate a marijuana high, you are a first class idiot. Not just a little bit of an idiot, either. A really big, monster-sized, moronic idiot. If you have convinced yourself that these ‘smoke blends’ are safe, you are an even bigger idiot. In fact, you deserve an ‘idiot of the decade’ award. What one of the more well-known blends did to a couple of teenagers was sickening. Projectile vomiting, severely decreased blood pressure, dangerously lowered heart rate and profound disorientation. It was enough to make me consider doing some serious bodily harm to a group of unbelievably stupid teenagers! Throughout history, many plants have been smoked. Some to attain an altered state-of-mind, some for medicinal purposes, and some just to see if they did anything at all. Some produced miraculous results. Some resulted in death. Some produced permanent brain or lung damage. Whatever the outcome, the point is this…if you haven’t been trained in the use of plants, or at least studied up on them, you have no business smoking them, eating them or otherwise introducing them into your body. All that being said, here is the truth…some herbs have very valid, useful properties when smoked. For instance, mullein is an awesome smoking herb ~ but only for clearing the lungs. Really. It eases muscle spasms, and loosens congestion and phlegm, which really comes in handy when you have a lung infection, fluid on the lungs or have a persistent cough. Want to quit smoking? Try a toke off a mullein joint! Catnip is a mild sedative that helps relax the muscles and the mind, but you aren’t likely to get anywhere a marijuana high from it. 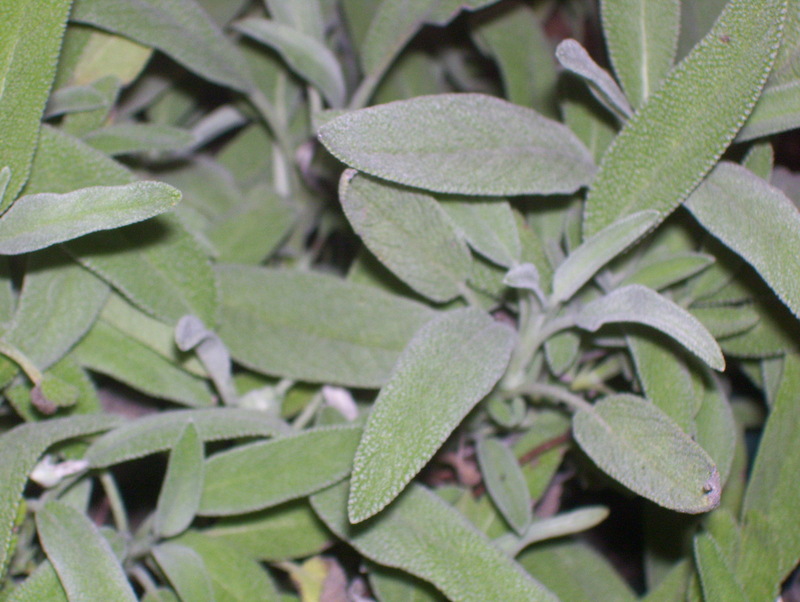 Sage, oregano and mint can also be smoked, but without a valid medical issue, why bother? No mind-blowing highs will ever be achieved from any of them. Then you have your other category ~ herbs smoked for religious purposes. While it might sound like a sorry excuse, there are many religions that have smoked herbs in ceremony to achieve an altered state of mind. They have been doing it for millennium with some astounding effects. Shamans, dream-walkers, priests….all of them have their means of communicating with the gods, and often they involve smoking or inhaling the smoke of plants. So, theoretically yes, you can achieve an altered state of mind with many of them. Profoundly so. However, in most cases, the dose between ‘altered state of mind’ and ‘permanently brain damaged’ or ‘dead’ is minute. Which takes us back to this ~ if you don’t know what the herb is, the Latin name for it, how it has been used historically and what its possible side effects are, don’t be taking it. Not by inhalation, ingestion, injection or topical application. Don’t know how to find all that info out? I don’t really suggest the internet be your single source of valid info. Go to the library. Go to the book store. Ask a trained Herbalist. There is a single exception to this rule. You knew it was coming, right? All together, now….marijuana. Hemp. Reefer. Ganja. Hot topic, right? Remember that trendy title I wanted to avoid. Here’s were it comes in. It is constantly in the news. There are television shows about it. It has been used throughout history. Should we legalize it? Shouldn’t we? Should it only be legalized for medicinal use, and how do you control how people will use it? Is it even a viable medicinal source? I think the most telling argument for that question is this…both the medical establishment and the government, while labeling it of no use medicinally, has gone to great lengths to make a synthetic version of it and many state governments have legalized it for medicinal use in patients with cancer, glaucoma, MS and several other medical conditions. They synthetic version is something of a joke. Useless, really, but the question remains ~ why spend million of dollars creating a synthetic version if the real version is so useless? As an Herbalist, I am regularly asked if I ever give, sell or use marijuana. While driving around in my van, people see my business name and ask me if I have any pot for sale. My answer is usually, “Yeah, sure! I have a thriving business selling it out the side of my family van!” I’m seriously considering carrying around several bags of a primo catnip/oregano blend with a few drops of patchouli oil mixed in to sell to anyone stupid enough to ask me that. Here is my official answer. No, I neither give away or sell marijuana. What do I think about the use of it? I would rather see someone prescribed a large quantity of marijuana than a single anti-depressant, pain pill, aspirin, acetaminophen or vaccination. I won’t go into a rant about the dangers of any chemically-created, synthetic medication on the market. Instead, I’ll explain my opinion. Marijuana has been used medicinally since, at least, 1200 b c. Go back further and you will find they were using the plant for many other things, also. Paper. Clothing. Rope. Something with that kind of history has to have some basis in fact. Humans adapt. They learn. After a few thousand years, they would have thrown this herb by the wayside if it didn’t have a significant medicinal value. There are a million-and-one studies out there concerning the effects of marijuana, both long-term and short-term. For every one that finds a negative effect, another is there to contradict it. So, who do you believe? I believe the one with the most valid research and non-prejudiced starting point. Those are increasingly hard to come by, but they do exist. This is one of the better ones out there. So, after years of study, I am convinced that marijuana has no negative effects, either long or short term. It has been shown in several studies to be both safe and effective for relieving pain, increasing appetite, easing tension, calming the system and can help prevent the development of some cancers and other diseases. 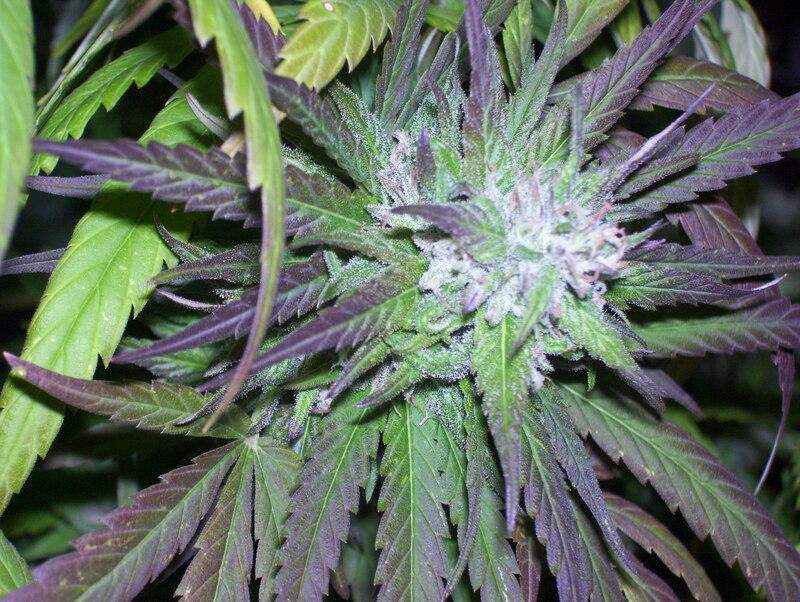 It does not produce long or short term lung troubles, cognitive issues or any other issue. There is not a single drug available through the medical institution that can boast those statistics. Furthermore, unlike many other drugs, both legal and illegal, there is not a single documented case in which marijuana was solely responsible for any act of violence, public disorder or other crime. It was found to be ‘a contributing factor’ when paired with alcohol, cocaine, barbituates, and a whole host of other drugs, but never on its own. It is not a drug that makes you feel ten feet tall and bullet proof. It doesn’t make you want to run out and pick fights with the biggest guy in the bar. It truth, you are far more likely to sit on the couch and munch on stale chips than you are to even consider leaving your house. Do I believe it should be legalized? Absolutely. Do I condone the use of it? Absolutely. Do I think you should write your congressman and insist they vote in favor of legalization? Absolutely. Do I recommend running out and buying some? Not in the state of Missouri, but if you live in, say…California…absolutely, but only with a valid prescription. Now, back to where we started. Safe smoking herbs are out there, but most people, even those creating these ‘safe, legal smoking blends’ don’t know which ones they are or how they should be smoked. They may be legal, but they are far from safe. Just say no. And, should you see or hear of someone who is smoking one of those blends…slap them in the forehead for me. Degenerative Bone Disease. It sounds painful, doesn’t it? It is a phrase that I have been hearing a lot of lately. At first, it was just the 35 and older crowd -mostly women- that kept saying they had been diagnosed with it, but gradually the victims have gotten younger. In fact, just recently I heard about a 9-year-old little girl that had been diagnosed with it. So, this then, is the newest medical ‘trend’. Frightening. Even more frightening is that most doctors are telling their patients that there is no way to reverse the disease or the damage it has caused. Instead, the best they can hope for is to control the pain with some prescription meds. ‘Experts’ tell you that osteoporosis drugs are the answer. Forget the dangerous side effects. Degenerative bone disease is, for all intents and purposes, the same thing as osteoporosis. This is caused from a lack of calcium, vitamin D and other bone-building vitamins and minerals. Many people run to the health food store and stock up on some multi-vitamin that claims to have these ingredients in it, hoping to prevent this disease. You all know what I think about vitamin pills, right? This is not the answer. It is difficult for the body to process vitamins and nutrients that are not organic. Raw. In their natural state. In order to prevent this disease, you have to get these essential elements from your food, not from a pill. But, that’s not where this blog post is going. We were talking about Degenerative Bone Disease. So, here’s how it works ~ our bodies, when kept in good working order, are designed to heal themselves. Skin, tissue, bone and blood will all repair and replenish themselves, returning to perfect working order even after the most severe damage. We have already dealt with healing skin and tissue, so lets talk about healing bones. Like most people, I had always assumed that bones, once broken, never truly healed. Not back to the way they were before. In fact, when I broke my wrist I remember the doctor putting on that awful cast and telling my mom how careful I would have to be because that would always be a weak spot in my bone. Later, I learned that it was not the broken spot, itself, as much as the area just above and below the healed fracture that was the most vulnerable. Either way, things would never be the same. Then, I decided to go and become an herbalist. In earning one of my herbalist certifications, I was introduced to the possibility that the bones are, in fact, capable of healing completely. Just like they were before they were damaged. With the proper treatment and healing methods, even a shattered, fragmented mess of bones could pull itself back together so you’d never even know it was harmed. Did you notice the big, dark italicized letters? The body, when it is deprived of the things it needs to function (things like calcium and vitamin D), will start to pull these things from it’s storehouse – the bones. When that storehouse is depleted, the shell becomes brittle and fragile. Bones may break more easily, or even break off a single chip at a time. It is not just depriving the body of the things it needs that is the problem, though. There are many other things that will cause the body to lose these essential elements faster. They will actually pull them from the body. Iodized salt, white sugar, caffeine and many prescription and OTC medicines are some of the worst culprits. Coincidentally, it seems that in most cases of osteoporosis, or degenerative bone disease that I have heard about, bad diet and a history of prescription meds are prevalent. Without exception, when I asked about their eating habits many of them ate canned or boxed meals on a regular basis, were at least minimally overweight, and consumed high levels of meat, sugar and caffeine. So, what to do to fix things? Treat the osteoporosis like it is a broken bone. Give it what it needs to repair and regenerate stronger bones. Of course, this isn’t always an easy thing. For some of us, switching to a raw food diet is just not an option. However, switching to a partially-raw-food diet is. That doesn’t mean to eat a rare steak, either. I’m talking raw fruit, vegetables, nuts, seeds and grains. So, what to do? Simple really. Step outside. You know how I’m always spouting off about fresh air and sunshine? 10-15 minutes of sunlight on the face and hands every other day will provide you with the proper amount of vitamin D, among many other benefits. Here’s the surprise, though. You would think that brittle bones mean you should stay away from exercise to avoid injury. This isn’t the case, either. Gentle exercises like yoga or tai chi will help strengthen not just the bones, but the entire body. It will stimulate the organs of the body to work properly, which in turn will allow the body to heal itself. It will help calm and focus the mind, which has been shown to speed the healing of the body. Plus, it just makes you feel good! Finally, de-stress your life. Stress has been shown to promote health problems like heart disease, high blood pressure, ulcers and other digestive disorders, depression and even with how the body absorbs and uses the vitamins and minerals it is given. I know, sometimes that is much easier said than done, but if your health is at stake then maybe now is the time to re-evaluate your life. Decide what is truly important and let the rest fall to the wayside. Take time to watch a sunrise. Take a drive in the country. Spend a night with friends. Laughter really is the best medicine.